Are You Thinking About Buying Vinyl Flooring? Vinyl flooring is a great, affordable flooring option that comes in many different styles and designs. Before deciding whether vinyl flooring works for you and your lifestyle, let’s take a look at the options that are available. 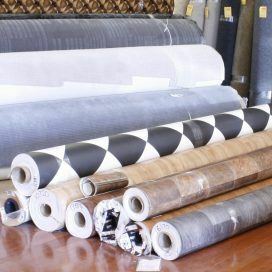 There are many different types of vinyl flooring, and the newest and most popular is luxury vinyl. It comes in two different styles: plank and tile. 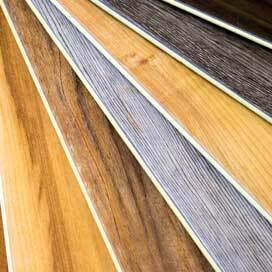 Luxury vinyl plank, or LVP, refers to vinyl planks that are usually made to resemble planks of hardwood flooring. Many even click together like the click-lock system of hardwood and laminate. Luxury vinyl tile, or LVT, refers to vinyl tile that is designed to mimic porcelain or ceramic tiles. There are even varieties that are groutable. Sheet vinyl is one of the most popular options for in bathrooms. It is sold in giant rolls that are cut down to the size you need. One distinct advantage that sheet vinyl has over luxury vinyl plank or luxury vinyl tile is that there are no or only a few seams. There are a lot of advantages to choosing vinyl over other options. There are three main advantages: water resistance, durability, and maintenance. All vinyl flooring is highly water resistant. Because of this, it is one of the best options on the market for rooms with a lot of moisture, like basements, or rooms that are prone to flooding, like bathrooms and laundry rooms. Vinyl sheets tend to be better in this area due to a fewer number of seams for water to seep into. 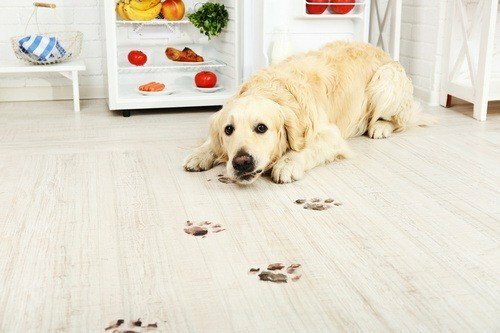 Vinyl flooring is one of the most durable flooring options and is great for houses with pets and children. It can withstand drops, spills, scratches, and just about anything else that could possibly be thrown at it. Maintaining and cleaning vinyl flooring is very easy. If there is a spill, just wipe it up. Pet mess? Simply wipe it up and clean it with a disinfectant. It can be maintained with just a simple sweeping or vacuuming. With so much to love about vinyl flooring and tons of beautiful options to choose from, it is easy to see why vinyl has made a comeback in recent years and is quickly becoming one of the most popular flooring options on the market.